Music is a peculiar thing. It’s technically a non-living entity, usually represented as notes on a sheet of paper—and yet, it evolves as we do. It’s unsure if this evolution follows mankind’s progress (like how the invention of the electric guitar changed music, for example) or if music steers the way humanity moves forward (think the soundtrack of the EDSA revolution or the British Invasion led by The Beatles). We’d like to think that it’s both—that music is part of a complex biosphere, as integral to our lives as air or water, and that it shapes us as much as we influence it. OPM (Original Pilipino Music) is no exception. We dare say that it’s one of the most diverse music sub-cultures in the world. Looking at the path OPM took from the ethnic kulintang symphonies of old to today’s digital-driven discographies reveals a wide range of genres only unified by their nationality. Go back a bit and you’ll come across the age of Manila Sound, mostly associated with the rise of the disco era in the Philippines and headlined by the likes of Hotdog, VST & Co., Rico J. Puno, and the APO Hiking Society. The '90s saw the local band scene erupt, resulting in some of the best songs ever released on local soil. An acoustic craze hit us in the early 2000’s with artists like Paolo Santos, Nyoy Volante, and Jimmy Bondoc lording over the airwaves. With OPM undergoing a seemingly endless number of transformations, only one thing is for sure—that you were moved by the music of your generation and, whether you got love advice from Rey Valera or fought to overcome your struggles to the songs of the Eraserheads and Rivermaya, became who you are now partly because of it. 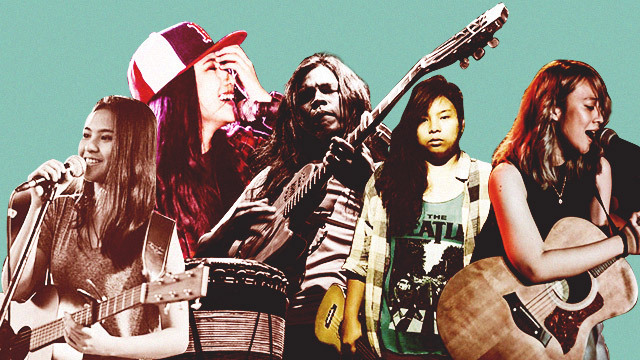 After a short period of stagnation, Filipino music is set to reclaim its lost glory and move us anew. 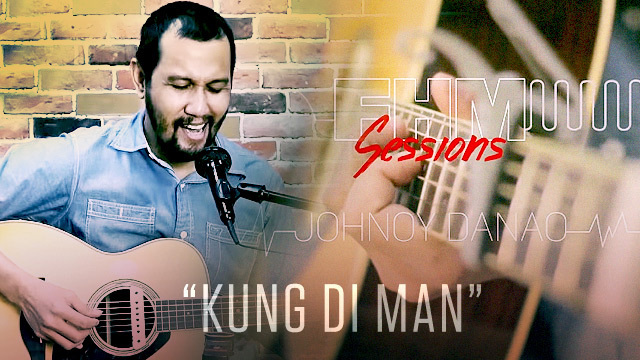 Let’s take a look at some of OPM’s recent releases and try to see where the music is going. Aside from being the baluarte of presidential hopeful Rodrigo Duterte, Davao has steadily supplied us with good music over the years (Southborder and Freestyle are two bands that call Davao home). Indie folk band THEA is not about to buck that trend. "Liko-liko" possesses a certain charm that is hard to ignore. With an impeccable vocal track leading the way, it’s a fun ride from start to finish, proving that while Manila is the nation’s capital, new and distinct sounds can be heard from all across the archipelago. The Ransom Collective – "Fools"
The changes in OPM are not endemic. Filipino music is also heavily influenced by the music heard all around the world. With music streaming and sharing at its peak, audio content is easy to distribute and consume. The Ransom Collective’s "Fools" is apparently a product of this phenomenon, with elements stemming from undeniably Western musical sensibilities. But make no mistake about it, "Fools" is a true OPM track, albeit this indie sound is something people who grew up thinking bands should sound like the E-heads are not used to just yet. She’s Only Sixteen – "Dying to Meet You"
"Dying to Meet You" is a fun track that’s reminiscent of artists like The Strokes and the Arctic Monkeys. Its slightly dirty guitar sound induces a healthy dose of head bopping and foot stomping all throughout the track. "Dying to Meet You" shows the ability of OPM to have global appeal and adapt to current trends without sounding like a direct copy. Farewell Fair Weather – "Beyond"
With excellent instrumentation and powerful vocals, Farewell Fair Weather’s track is hard to define under a single genre. There’s a jazzy vibe to the intro, a bit of funk thrown in the persona of a bass solo, and the guitar solo is a purely alternative affair—all while sitting perfectly within the realm of pop. Expect the lines between genres to blur further as we see artists effortlessly jump from one style to the other. There’s an ongoing debate regarding how digitization is affecting the quality of music. While we agree that there is no replacement for the good ol’ analog sound of real instruments, "Steady" is a perfect example of how technology, when used properly, can still result in a gem of a track. With new types of instruments and sounds coming into the fold, we’re excited to see how BP and other artists can utilize these new tools to create awesome music, bridging the gap between the songs we grew up listening to and today’s digital era. Reese Lansangan – "Exploration No. 5"
What works for Reese Lansangan’s "Exploration No. 5" is its quirkiness. If this sound doesn’t make you giddy or feel all fuzzy inside, then there’s little hope for your soul. Reese is at the forefront of an OPM revolution that’s shunning an overly produced wall of sound in favor of an honest and genuinely uplifting performance. A product of the digital fame machine (gaining a following that is rightfully deserved, mind you), Reese is also the poster child for how OPM artists promote and circulate their work, which is now mostly done via the Internet, giving local music a new dimension—that of immediacy and accessibility that was not present before. Anyone who has heard Bullet Dumas knows that he sounds like no other artist in the country today. His guitarwork, his phrasing—everything is awkward but sounds just right. "Ninuno" is a storytelling master class, with Bullet singing about a familiar topic in a way only he can. This track is a perfect example of how artists are starting to move away from formulaic expressions of music and taking on more experimental routes towards crafting their art. Recently, bands have become more eclectic with their choice of instruments: ukuleles, synth pads, and even laptops. On the other end of that spectrum is "Riverchild." Clara Benin’s track is a moving tribute to, well, moving on, with only a guitar and her voice serving as her devices to make the song come alive. It’s been a while since we’ve seen artists release songs stripped down to the bare essentials and it’s refreshing to see a new breed of singer/songwriter emerge. Every so often, a songwriter comes along, rules the airwaves, and defines the current sound. One of the more prolific examples would be, for better or for worse, Lito Camo. But recently, it’s been the songwriting duo of Thyro and Yumi that has redefined what OPM is all about. With strong elements of RnB in the songs they write and sing, they’ve made their mark in the local music landscape. The perfect example would be Sarah G’s current single, "Kilometro." Known for belting out ballads, we were pleasantly surprised to hear Geronimo’s new sound, courtesy of Thyro and Yumi, of course.